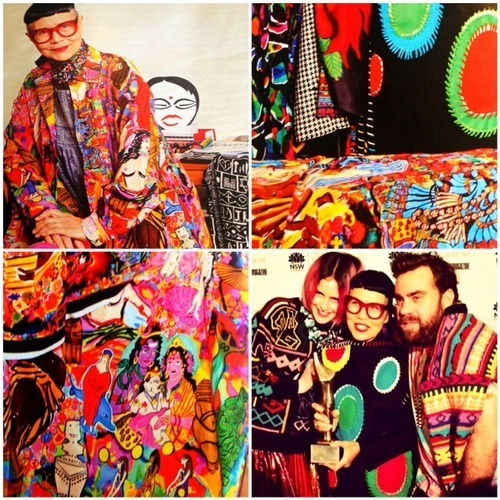 Inspired by the artisan craftsmen of the world, we are now trending wild, crazy, COLOUR in our everyday wear!!! Let’s think bold patterns, beading, gold fringing, pompoms and tassels from countries such as Morocco, Mongolia, Mexico and more. The ‘treasures’ above are part of my collection and the result of an ongoing obsession I have with all things bright, colourful and in particular… handmade. The sombrero is from Peru. The rug is hand spun and hand woven.The pompom tassels are made by Queensland gals, ‘Angle Diamond Dot’ and were kindly gifted to me, by on-line accessories store, Boutique 48. 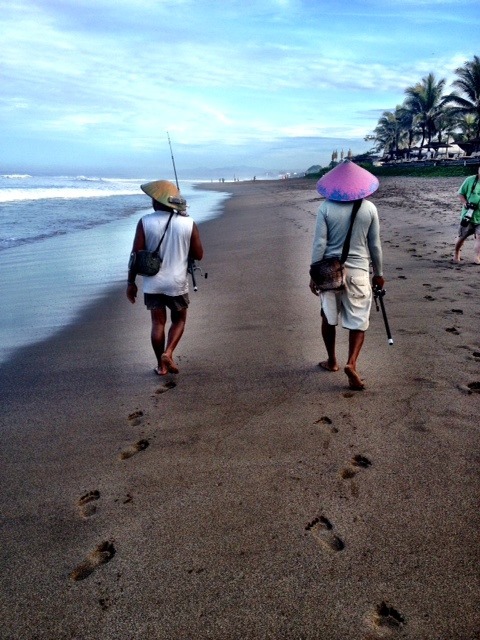 The cobalt leather satchel is handmade in Bali. 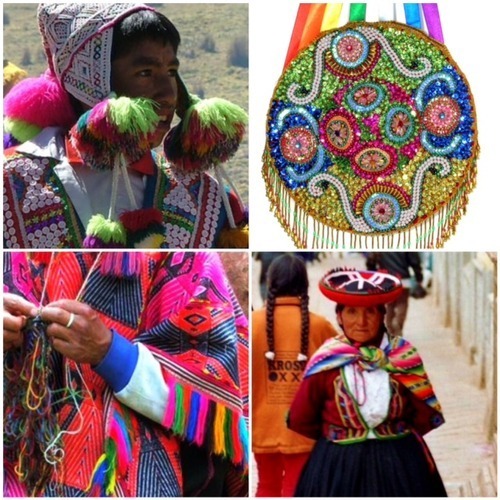 Whether it be fringed ponchos, beautifully beaded Peruvian festival hats, oversized pom-poms on knitted chullos, or everyday sombreros, the colours and patterning work so well! Time to take a quick ‘trip’ around the World to see the influence these talented craftsmen have had on us! 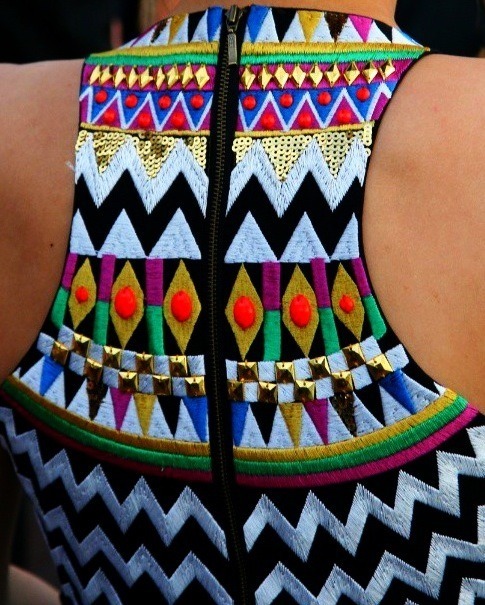 Bold and colourful designs and beading. 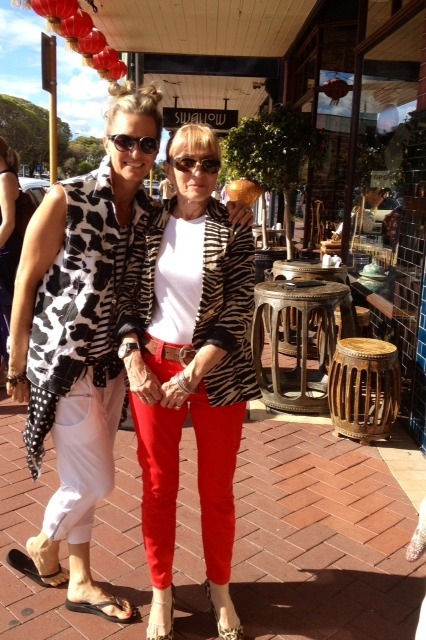 Design duo, Sass and Bide have taken inspiration from the African tribes. Jenny Kee (above R) with Anna Plunkett and Luke Sales from ‘Romance Was Born’. They’re all renowned for their confident patterning and detailed designs… with a more is more attitude! 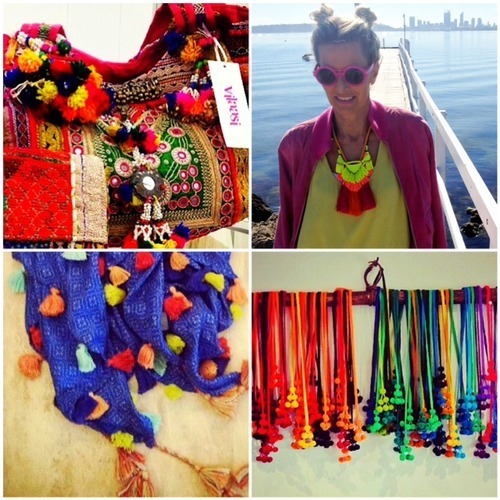 Camilla Franks Bohemian style, mixes floaty kaftans, detailed beading, vibrant colour and clashing prints. Eclectic ‘Gypsy’ styling at its best! 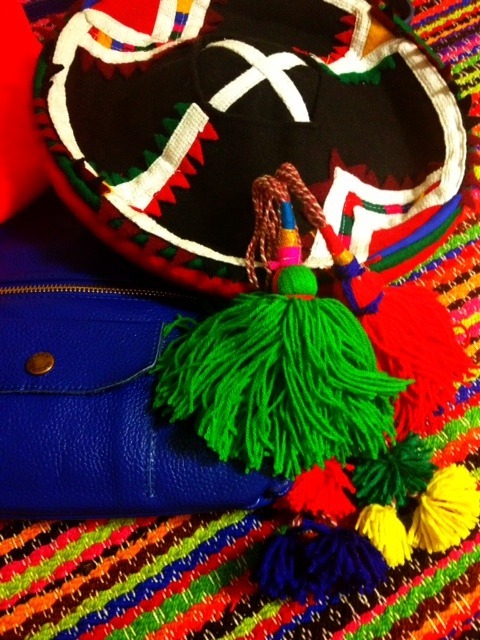 World famous photographer, Mario Testino has created his first collection of stunning Peruvian accessories, bags, tees and kaftans. They are available on Net-A-Porter and proceeds go to charity. So, it’s time to get some colour in your day! 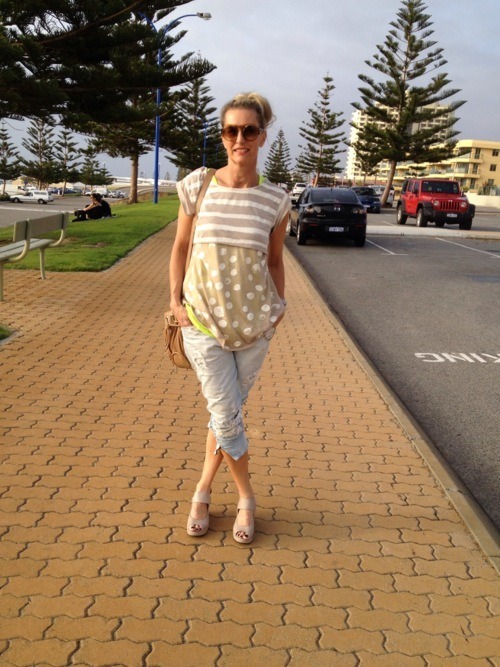 Here’s few easy peasy ideas above, to get your wild crazy style started. 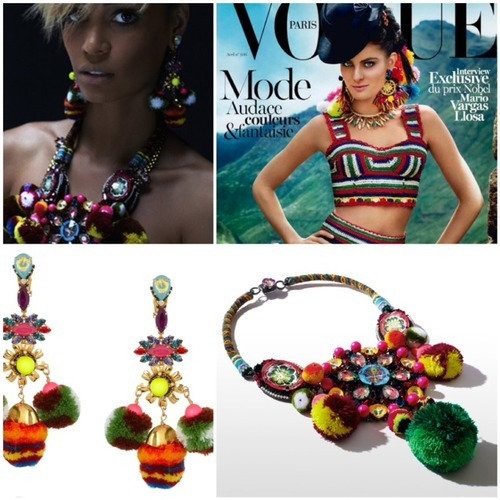 From a ‘Vilaasi’ Indian bag (Top L), an ‘AndAndrea’ tasseled necklace (Top R), a ‘Tigerlily’ pompom scarf (Bottom L), or Sass and Bide pompom belt (Bottom R).